I'm kind of madly in love with really modern images re-imagined in traditional mediums. As "unplugged" as the handmade arts are, they don't have to be completely removed from digital influences - the combination of the two is just magical! In my internet wanderings, I ran across this incredible project on Brooklyn Bride. They made cross stitch QR codes that link to valentine's day messages! I immediately pinned it and have been itching to try it myself. 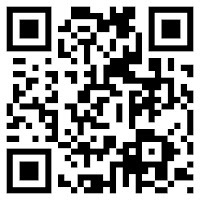 For those of you wondering, a QR code is like a barcode but with pixels instead of bars. Using an app, your smart phone can read the QR code and redirect you to a site. It's really fun! 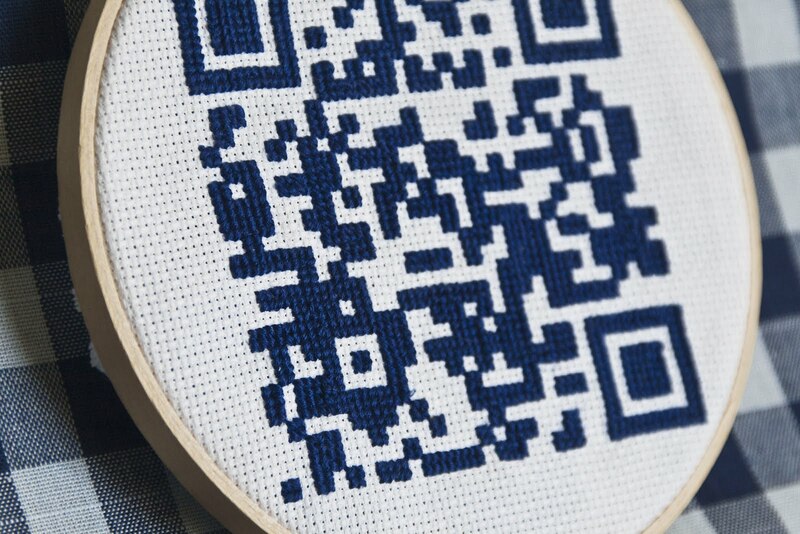 I decided I wanted my cross stitch QR code to link to insideways.com. It works guys!! All you have to do is follow the tutorial at Brooklyn Bride to make your own. The only modification I made was to double the size of my code so that all of my "pixels" were made from four cross stitches instead of one. Look at the cute little stitches! It took a long time, but it's kind of fabulous so I don't care :). To be 100% honest, it's not super useful because I don't really have printed materials for insideways, but I'm just going to keep the little image in my sidebar for fun. 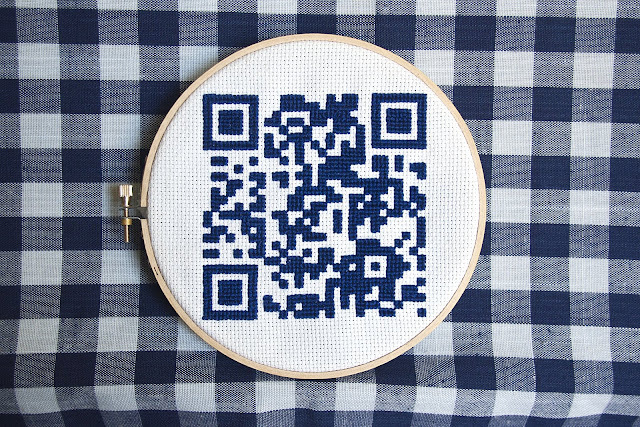 Do you like mixing technology with crafty goodness?